Asianet is all set to launch its new quiz based show Sell me the answer, a first of its kind television game show format in Malayalam Television Industry, on 22nd June, which is scheduled to be aired on every Monday to Thursday between 8:00pm to 9:00pm. Sell me the answer on Asianet will be testing the knowledge of the contestant more than his brain power. The quiz based show is quite entertaining and demands the contestant to utilize both their IQ and EQ. Even though the quiz show concept is new to Malayalam audience, it is inspired by the original British show with the same name. 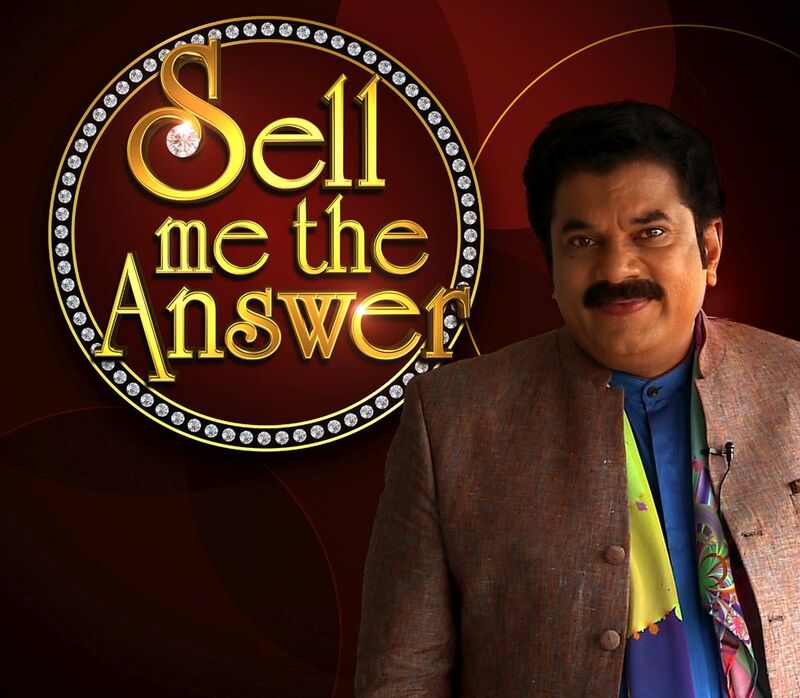 The format of sell me the answer on Asianet is unique and different from the previous quiz shows as the show gives opportunity for both the contestants and the traders to win the prize money, with their knowledge as well as confidence. Prior to Malayalam among Indian Televisions, Sell me the answer was made in Bengali channel Sananda TV titled Jabab Kinte Chai. As per the format of Sell me the answer on Asianet , there will be 10 questions, 10 answers, one can answer these questions with or without the help of traders. Earlier, Asianet has opened up the registration process for participation in this quiz show till 22nd May 2015. the channel has roped in popular Malayalam Actor Mukesh as the celebrity quiz master to conduct the show. Actor Mukesh is already hosting a Comedy Show on Asianet titled Badhai Bunglow. I have applied to participate this programme before the closing date and I am Physically Handicapped person. My two legs are cripple to attack the Polio Paralisis at the age of 3.5. Now I am 55 years old. I am interested to participate in the programme.How to do?